The glaciers are melting! The glaciers are melting! The glaciers are…uhhhhh…never mind. Turns out the IPCC’s chicken little story that all the Himalayan glaciers are melting is just another exaggeration. Or fraud. Take your choice. You know, like the stats coming out of East Anglia CRU. And its claim that Antarctica is melting. And that Greenland’s ice cap is melting. And that sea levels are rising. And that the polar bears are dying. 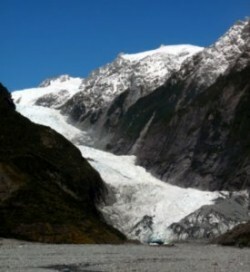 Fact is, some glaciers are retreating, but many others around the world are growing. Here are a dozen glaciers (or groups of glaciers) around the world that are growing almost as quickly as global warming skepticism. Perched on the soaring Karakoram mountains in the Western Himalayas, a group of some 230 glaciers are bucking the global warming trend. They’re growing. Throughout much of the Tibetan Plateau, high-altitude glaciers are dwindling in the face of rising temperatures. The situation is potentially dire for the hundreds of millions of people living in China, India and throughout southeast Asia who depend on the glaciers for their water supply. 2. Alaska’s Hubbard Glacier. Growing. A lot. Alaska’s Hubbard Glacier is advancing moving toward Gilbert Point near Yakutat at an average of seven feet per day. The Army Corp of Engineers’ Hubbard Glacier website for has some great photos of the advancing behemoth. 3. Norwegian glaciers. Growing again. “After years of decline, glaciers in Norway are again growing, reports the Norwegian Water Resources and Energy Directorate. The actual magnitude of the growth, which appears to have begun over the last two years, has not yet been quantified, says NVE Senior Engineer Hallgeir Elvehøy.”The developments were originally reported by the Norwegian Broadcasting Corporation (NRK). “Canada’s tallest mountain, the Yukon’s towering Mount Logan, may have experienced a growth spurt. “The University of Alaska aerial survey, conducted last summer with a laser altimeter by Fairbanks-based geoscientist Sandy Zirnheld, pegged Canada’s geographic zenith at 5,966 metres. 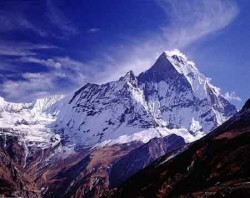 That’s seven metres (23 feet) higher than the official height of 5,959 metres, determined in 1992 after a celebrated climb to the top by a team of Canadian researchers led by Mike Schmidt of the Geological Survey of Canada. 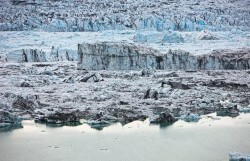 Alaska’s glaciers have been in retreat for nearly 200 years. But now they’re advancing again. “Overall, Molnia figures Alaska had lost 10–12,000 square kilometers of ice since 1800, the depths of the Little Ice Age. That’s enough ice to cover the state of Connecticut. Climate alarmists claim all the glaciers might disappear soon, but they haven’t looked at the long-term evidence of the 1,500-year Dansgaard-Oeschger climate cycles. 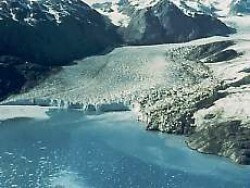 During the Little Ice Age—1400 to 1850—Muir Glacier filled the whole of Glacier Bay. 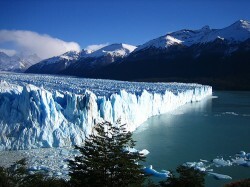 Since then, the glacier has retreated 57 miles. 6. 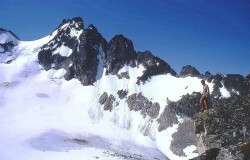 Glaciers are growing in California. California? 7. 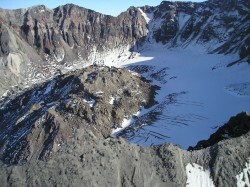 A glacier is growing on Washington’s Mt. St. Helens. “On May 18, 1980, the once bucolic ice-cream cone shape that defined Mount St. Helens in Washington state disappeared in monstrous blast of ash, rock, gas, and heat. “Inside the volcano, which was once a soft dome of snow but is now a gaping, steaming menace with an unpredictable streak, an unexpected phenomenon is taking place: a glacier is growing. “In these days of global warming concerns and scientists showing alarming then-and-now images of glaciers disappearing from mountainsides, it may be the only growing glacier in America – or maybe the world. The research was conducted by six scientists from leading agencies and departments in France and Switzerland that deal with hydrology and glaciology. The research was funded by Observatoire des Sciences de l’Univers de Grenoble (OSUG), the European Programs ALPCLIM and CARBOSOL, and by the city of Chamonix Mont-Blanc.Vincent et al. collected a variety of datasets that could help them understand how the high-elevation glaciers of Mont Blanc were impacted by variations and trends in climate. Among other findings, they found that the mass balance of the glaciers is strongly controlled by precipitation, not temperature. Vincent et al. state “The most striking features of these figures are the small thickness changes observed over the 20th century. 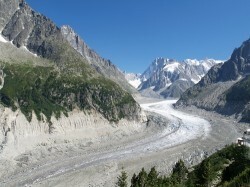 For both areas, thickness variations do not exceed ±15 m. The average changes are +2.6 m at Dôme du Goûter (please note that this glacier is growing) and -0.3 m (-12 inches) at Mont Blanc. Guides say the Franz Josef and the Fox glaciers continued advancing down their valleys in the past year and may soon be close to positions reached 40 years ago. That (supposedly) contrasts sharply with the plight of many glaciers elsewhere on the planet, which are (supposedly) shrinking three times faster than they were in the 1980s, according to the World Glacier Monitoring Service (WGMS). Franz Josef Glacier Guides base manager Tom Arnold estimated the Franz Josef and the Fox had advanced hundreds of meters in the past year. The Russians don’t believe the IPCC forecasts, but they do believe their own eyes. In 2002, a 22-million ton piece of ice broke off the gigantic Maili Glacier and crashed down a steep gorge into the village of Kami. It killed more than 150 people and injured hundreds more.The 500-foot wall of ice had been growing for six years. 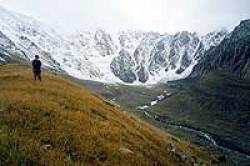 The Maili Glacier is just one of several glaciers in the North Caucasus Mountains that have been expanding at an alarming rate. 12. Iceland’s Breidamerkurjokull glacier. Yup, it’s growing, too. The Daily Mail UK ran a story on July 31, 2009 about the horrors of global warming. It was accompanied, for some inexplicable reason, by contradictory photos that showed the remarkable growth of Iceland’s Breidamerkurjokull glacier. Their headline screamed, “How global warming is changing the face of the northern hemisphere.” The photos and caption told a story that was, you’ll pardon the expression, the polar opposite of what the article described. But these are facts, damn it! Don’t you know the agw true-believers thrive on rabid and blind faith? Maybe you’ve seen these Yale documents, but Al Gore via Yale univ (maybe others, too) and churches, is right this moment promoting climate change as religion. I know, I know… the agw hysterics already act like crazed zealots, but Gore is doing his best to ensure that the future generations are indoctrinated in Climatism – complete with prayers. I kid you not! Various glaciers worldwide have been in retreat since the 1800s or the end of the little ice age and thus cannot be caused by man-made CO2. 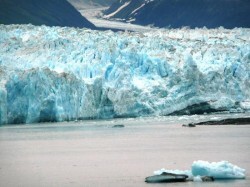 Glacial melting is also a good thing because it increase the available amount of fresh water. Why would the Guardian and the WMS only publish retreating glaciers and not the advancing/growing ones? On the other hand David.. What would the world look like if Glaciers would never retreat and always advance? Somethings tells me the word ” unprecedented ” is coming up. So is someone with some Rep going to Digg this baby? Getting thousands of hits an hour on it. So, you’ve found **12** glaciers that are allegedly growing?! Do you know what ‘confirmation bias’ means? How about ‘cherry picking’? You’re citing Fox News and the Daily Fail?! What a joke! Hot Air » Blog Archive » More bogus AGW information in IPCC report? realclimate?? The same realclimate (M Mann) The Hockey stick inventor who is being investigated for data falsification lies and scientific interference? Everyone is free to produce a scientific analysis to prove that the current scientific views on globally receding glaciers are wrong. If they really were, certainly by now there would have been papers published. Until then these kind of blogs say more about the authors political frustration then about the current state of the cryosphere. Papers published? Not so sure. See “Climategate” and the scientific collusion to use the peer review process to silence their rivals. Where have you been? Such papers WOULD NOT get published. The entire “peer-reviewed” “scientific” journal industry has been co-opted by activists who take definite — and PROVABLE — steps to prevent contrary views from ever being published. Moreover, how can anyone do such independent research if they cannot receive funding — which they cannot unless their results are pre-determined and support the global warming hoax. This is an expected effect of “climate change”, there may be a short period of glacial growth, before they disappear completely by this time next year…. You mean “Voodoo Science” as ole “Birdbrain” Pachauri put it? Advancing glaciers? Ok, but then let’s put things straight first. An advancing glacier CAN also mean it’s melting fast, because it’s resources higher up are rapidly shrinking. No. 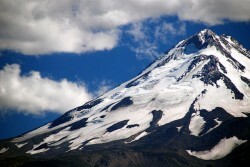 Glaciers advance when their mass increase due to precipitation (e.g. snow or freezing rain) exceeds mass loss due to evaporation, melt, calving, etc. They are static when mass gained (precipitation) equals mass loss due to evaporation, melt, calving, etc. They recede when mass loss to evaporation, melt, calving, etc. exceeds mass gain due to precipitation. Please, no more of the “every change proves AGW” pseudo science. Sorry to say John, I did some glacier research and I happen to know a few things about how they work. I agree you first need accumulation of snow and ice before it can start flowing faster and getting longer, especially when the temperatures are higher. And once this happens it gets thinner, which can cause more rapid melting off because of that: the surface is larger because of “flowing out”, also causing higher evaporation, and because it’s thinner higher temperatures affect the ice even more. You did some glacier research? Really? What did this consist of? Are you a glaciologist? More directly, John W. is correct and you are incorrect. What you’re describing would require a massive rapid melting along the entire length of the glacier. I hope that you’re not making that claim unless you can tell us where the enormous mass of floodwaters thus created has gone. 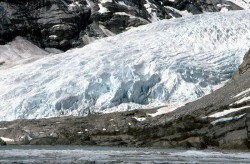 Further, when such rapid melting has occurred (as at the retreat of the last Ice Age) water outflow is often blocked by an ice dam creating a glacial lake. More directly relevant to Global Warming is that the major factor in glacial retreat is a decrease in “upstream” snow and ice accumulation — NOT an increase in temperatures at their terminus. Advancing glaciers? Ok, but then let’s put things straight first. An advancing glacier CAN also mean it’s melting fast, because it’s resources higher up are rapidly shrinking. It get’s longer, but it also get’s (a lot) thinner, losing more of it’s mass/magnitude by flowing faster! This may well apply to no. 1,2,3, 6, 8. Only no. 5 clearly states it has a positive mass balance, so it’s actually growing thicker too. But let’s have another sobering message: in Austria in the last 10 years only 2 out of 130 glaciers have been reported growing or stable. So maybe these 12 are the only ones growing worldwide?? In the case of 5, 6 and 8, all the summaries say the glaciers are either thicker, or the thickness is unchanged. I haven’t dug any deeper regarding the others. At face value, excellent bit of referenced research, worth disseminating. …hang, on….glaciers advancing … is the recovery from little ice age turning around into renewed glaciation ….and I’m happy to hear it? I guess the story would be more complete to add confirmed reports of retreating glaciers and make a net calculation. But then that’s what IPCC was paid big money to do, to review literature and make a scientific conclusion instead of one sided advocacy. Actually, the IPCC was chartered for the very purpose of one sided advocacy. It was designed from the beginning to find support for AGW. Very nice. BUT you need to create a YouTube video…. can you connect with noteviljustwrong on Youtube? It’ll be a cold day in…what?…nevermind.